Available pets | Hurricane Pets Rescue Inc.
My life is like unto a bargain store And I may have just what you’re lookin’ for If you don’t mind the fact that all the merchandise is used But with a little mending it could be as good as new Why you take for instance this old broken heart If you will just replace the missing parts You would be surprised to find how good it really is Take it and you never will be sorry that you did The bargain store is open come inside You can easily afford the price Love is all you need to purchase all the merchandise And I will guarantee you’ll be completely satisfied Take these old used memories from the past And these broken dreams and plans that didn’t last I’ll trade them for a future, I can’t use them anymore I’ve wasted love but I still have some more The bargain store is open come inside You can easily afford the price Love is all you need to purchase all the merchandise And I can guarantee you’ll be completely satisfied My life is like unto a bargain store And I may have just what you’re lookin’ for If you don’t mind the fact that all the merchandise is used With a little mendin’ it could be as good as new The bargain store is open, come inside The bargain store is open, come inside Dolly Parton. Cary and Max where rescue from the Carmax parking lot when they were approx 12 weeks old. 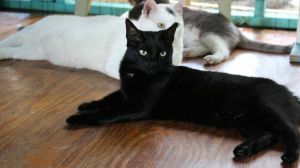 They are both extremely bonded and extremely sweet teenagers, that will make an awesome addition to any home. 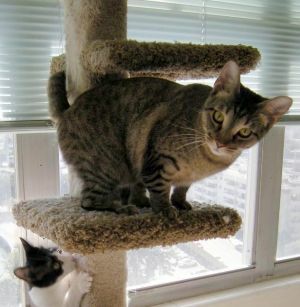 They are both on the shy side, therefore a quiet home for them is a must. Maybe a home with a person that works from home for them will be best. Both of them have a fun sense of humor and Max, on max he just starts purring the minute he is in your arms. They love to play and while they look big in the pics they are only 6 months old. If you need more information or have questions please contact info@hurricanepetsrescue.org Max and Cary are looking forward in hearing from you. 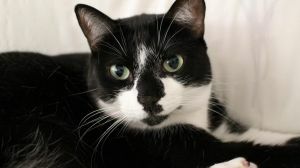 Jeeves is a super sweet cat that is looking for a forever home to live out his life. He is 17 years old but is in perfect health. In fact our vet believes that he is much younger than that. He just had a complete blood count, urinalysis, etc. and all came back normal, even his teeth are purrrfect for his age. He loves people and will make a wondeful lap warmer and great company for a retire person or couple. 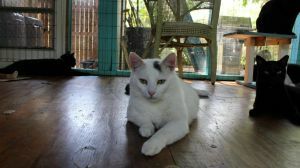 If interested in adopting Jeeves, please go to www.hurricanepetsrescue.org and fill out the screening app. His adoption fee is $ 65.00 This little guy will make a wondeful addition to any family. Jack is a super sweet senior that will love nothing more that to find a forever home to call his own. 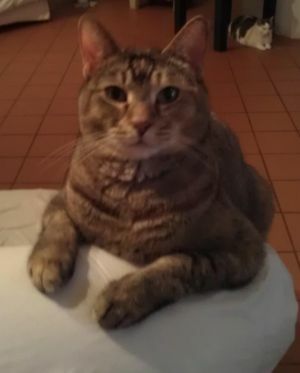 He was an owner surrender at the shelter in NYC because of not fault of his own, The owner dumped him and his sister because they moved and did not want to take them along to their new moving place because of the arrival of a new baby. 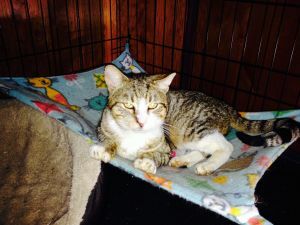 If interested in adopting this wonderful boy please submit a screening application by going to www.hurricanepetsrescue.org.For turther questions please e-mail us @: info@hurricanepetsrescue.org He has been neutered is UTD on shots, microchipped, dewormed, tested, etc. 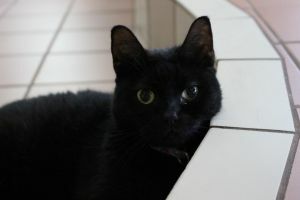 Senior kitties deserve a home too so please consider adopting Jack and make him a part of your family, you will not be disappointed. 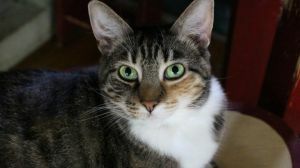 Senior kitties with good nutrition and indoors can really live up to 20 years old. Scribs is a wonderful boy that was saved by HPR from NYC Animal control in the nick of time. He is approx. 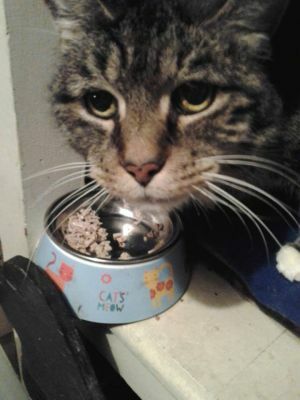 8 years old and is truly a sweet and wonderful boy.Unfortunately Scribs tested FIV+ which is truly not a bog deal since FIV+ kitties live a very long and healthy lives and can live with non-FIV + cats. 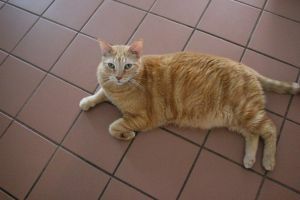 If interested in adopting this wonderful boy please submit a screening application by going to www.hurricanepetsrescue.org. If you have any question about Scribs or if you will like to learn more about the FIV retrovirus in cats please e-mail us @: info@hurricanepetsrescue.org He has been neutered is UTD on shots, microchipped, dewormed, tested and blood work has been done, he is in perfect health. Sky is just an awesome cat, not to mention a riot she makes people smilile for sure. She is approx. 4 yo., is UTD on shots, has been tested, microchipped, dewormed , well the works. She is ready to go home with you, she sure will make an awesome addition to any family. She is funny, loving and so pawsomely sweet. If interested in adopting this stunning baby please go to www.hurricanepetsrescue.org and fill out the screening application to start the process. For questions e-mail info@hurricanepetsrescue.org If you will like to sponsor this kitty until adopter please go to our web and sing up to our Guardian Angel program.Thank you for supporting a No Kill shelter. Jessie is an awesome 3 year old baby, he is playful yet very laid back and incredibly sweet. He rolls over for belly rubs, is incredibly curious, talks a bit and is an awesome lap warmer. He just adores to be in the company of humans. We will love to adopt him and his sister Chloe (also posted) together since they have been together since birth. If interested in adopting this stunning baby please go to www.hurricanepetsrescue.org and fill out the screening application to start the process. For questions e-mail info@hurricanepetsrescue.org If you will like to sponsor this kitty until adopter please go to our web and sing up to our Guardian Angel program.Thank you for supporting a No Kill shelter. Chloe is a wonderful 3 year old gal, she is very sweet and cuddly and just loves laps, she can lay on your lap for as long as you let her. 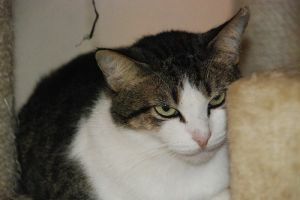 We will like for her and bother Jessie (also posted) to be adopted together since they have been together since birth,.. They are both tested, up to date on shots, microchipped, vaccinated and the works. If interested in adopting this stunning baby please go to www.hurricanepetsrescue.org and fill out the screening application to start the process. For questions e-mail info@hurricanepetsrescue.org If you will like to sponsor this kitty until adopter please go to our web and sing up to our Guardian Angel program.Thank you for supporting a No Kill shelter. Baby2 is a fun and loving teenager she will need a patience owner that will give her time to adjust as she is a little shy at first. She is not found of being picked up instead she likes to give love from the ground level. LOL She will do best in a quiet home with no small children.she currently lives with many other cats and a mellow very friendly dog. If interested in adopting this stunning baby please go to www.hurricanepetsrescue.org and fill out the screening application to start the process. For questions e-mail info@hurricanepetsrescue.org If you will like to sponsor this kitty until adopter please go to our web and sing up to our Guardian Angel program.Thank you for supporting a No Kill shelter. Mambo is the most mellow and laid back kitty in the history of kitties, his favorite things to do is sleep in odd positions and play, he is incredibly sweet but is not too found of being picked up.having and is not overly affectionate as he is a pretty independent little fella.He is really a love and very easy to handle, clipping his nails and grooming him is a breeze. 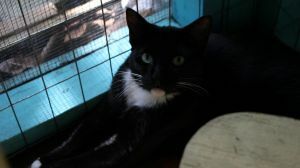 Having said that he now lives with many other kitties so that may change once he gets a home of his own with undivided attention, Presently he lives with dogs and cats. If interested in adopting this stunning baby please go to www.hurricanepetsrescue.org and fill out the screening application to start the process. For questions e-mail info@hurricanepetsrescue.org If you will like to sponsor this kitty until adopter please go to our web and sing up to our Guardian Angel program.Thank you for supporting a No Kill shelter. 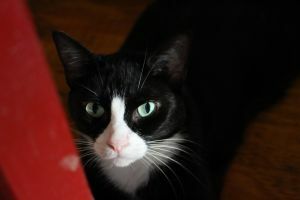 Baby is a 3.5 stunning Tuxedo kitty, she is sweet and very playful. 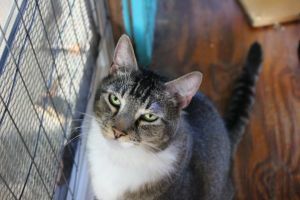 She is very sweet with people and is very close to her Mom Maggie (also posted), we will like them to be adopted together, but it is not a requirement she can go on her own too. If interested in adopting this stunning baby please go to www.hurricanepetsrescue.org and fill out the screening application to start the process. For questions e-mail info@hurricanepetsrescue.org If you will like to sponsor this kitty until adopter please go to our web and sing up to our Guardian Angel program.Thank you for supporting a No Kill shelter. 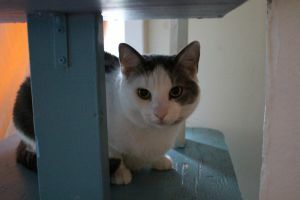 Sam is a very independent little boy approx 3 yo, he plays with other kitties in our rescue, but most of the time he hangs by himself, therefore he will do best in a home as an only cat.Her loves to play with toys, goes nuts for catnip and string toys.Sam will do best in a home with adopter that have a lot of time to spend with him, maybe somebody that works from home. He is not overly affectionate but as we said above he is getting there, with the right adopter he will be fine. If interested in adopting this stunning baby please go to www.hurricanepetsrescue.org and fill out the screening application to start the process. For questions e-mail info@hurricanepetsrescue.org If you will like to sponsor this kitty until adopter please go to our web and sing up to our Guardian Angel program.Thank you for supporting a No Kill shelter. Sherlock is approx. 6 years old and is just a wonderful cat. A volunteer wrote: Â When I come in at night Sherlock is one of the fist kitties to comes up to me and greet me. He is very loving, playful and just one cool cat. He has a dog like purrrrsonality, loves people, is very outgoing and lets you know when he was attention, his communication skills are to say the least, amazing. Total lap cat if that is what you are looking home and an amazing companion. Â Sherlock just recently had a complete dental and blood work and is in perfect health, This boy is certainly very special to all of us at HPR, this is why we will love nothing more than for him to find his forever home he crave and needs.Sherlock craves human love more than anything in the world and with us volunteers having limited time we cannot provide what he needs therefore he is lonely. If you are interested in adopting this stunning boy, please go to www.hurricanepetsrescue.org and fill out the screening app to start the process. Please e-mail us with any questions you may have @: info@hurricanepetsrescue.orgThis boy will make an wonderful addition to any family. 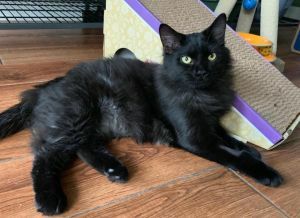 Â Â Sherlock has been neutered, is up to date on vaccinations, microchipped, dewormed and has been tested for FELV and FIV and fully litter box trained. Â Please for faster response e-mail us vs. calling us. Thank you. Simone is a wonderful cat she is approx. 6 years old and here age and her color makes her have a couple of strikes against her. 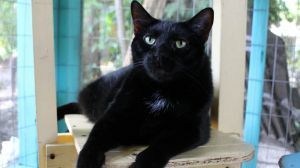 Nobody wants black cats because of the stupid myth that black cats are bad luck. Well depending on where in the world you live the myth changes as in some countries like in Europe black cats are considered to bring good luck to people. But people really, animals do not bring good or bad luck is humans that make their luck isn't it... Anyway going back to this wonderful kitty, do not get fooled by her age because considering that cats with good care live well into their twenties we can safely say that Simone is just a teenager. Simone runs and plays with toys just as if she was an young kitty, she is laid back and very affectionate, she paws at us and makes little noises with her mouth as we pass by just to get our attention and if we bend over if we are at her reach, she gives us the best back rubs. 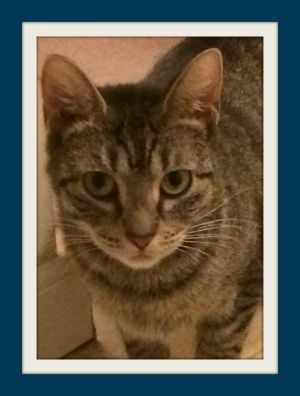 This little one so deserves a home to call her own and we would love to see that happen, spending a lifetime in a shelter is not good for any kitty and certainly not good for a cat that so much craves human loving and companion. If interested in adopting this stunning baby please go to www.hurricanepetsrescue.org and fill out the screening application to start the process. For questions e-mail info@hurricanepetsrescue.org If you will like to sponsor this kitty until adopter please go to our web and sing up to our Guardian Angel program.Thank you for supporting a No Kill shelter. A volunteer wrote: Â If I had room for one more cat in my home, Wednesday will be the cat I will adopt. Why you may ask: Wednesday is loving, gentle, but at the same time playful and upbeat. He responds to his name when called, does his own thing and is no bother at all, When I come in the mornings, I call for Wednesday and he gently meows so I know where he is then he comes like a dog to greet me. This boy is special and deserves to have a home, a lifetime in a shelter is no any life at all. If interested in adopting this stunning baby please go to www.hurricanepetsrescue.org and fill out the screening application to start the process. For questions e-mail info@hurricanepetsrescue.org If you will like to sponsor this kitty until adopter please go to our web and sing up to our Guardian Angel program.Thank you for supporting a No Kill shelter. Please for faster response e-mail us vs calling us. Thank you. Maggie, Mom to Virgil, Mambo, Baby, Baby 2, and Sam; Approx 1.5 yo, this little girl is very petite and gentle, she will love a home to call her own. We will love if Mom and Baby to be adopted together with her as they are very bonded. She is spayed up to date on shots, dewormed, microchipped and tested. If interested in adopting this stunning baby please go to www.hurricanepetsrescue.org and fill out the screening application to start the process. For questions e-mail info@hurricanepetsrescue.org If you will like to sponsor this kitty until adopter please go to our web and sing up to our Guardian Angel program.Thank you for supporting a No Kill shelter. 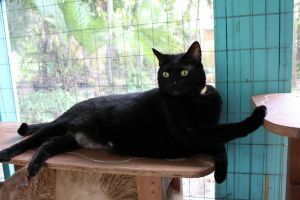 Margarita and Ville (also posted) are stunning bombay cats, with the shiniest coat we have ever seen. If you like Jimmy Buffet then these are the kitties for you (get it Margarita and Ville - Margaritaville!!! 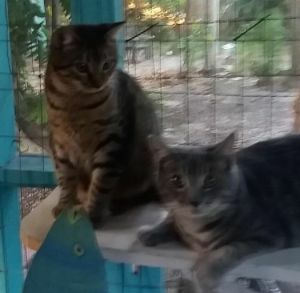 They are both very sweet, fun and loving kitties, approx 5 years old, up to date on vaccines, tested for FELV and FIV, dewormed, flea treated, spsyed and neutered, microchipped, well the works and ready to go to a forever home. Marga has lived with dogs in her past and she gets along fine with other cats, she is a big girl, NOT fat, just a big cat that almost looks like a mini panther. She does give love bit when she gets over excited, usually when she is being petted too much, for this reason and only for this reason she will not be good for a home with small children or elderly people. She loves to sit on the couch next to you and smuggle, and she sit on the couch next to you like a purrrson, too.She has a dog personality comes when you call her , well she is just too perfect for words. She loves to be groomed, in fact she lis the first in line when is grooming time at our shelter. 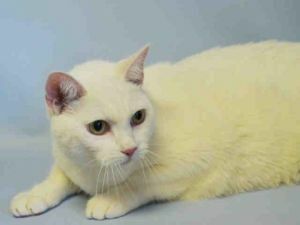 Maga will make a purrrfect addition to any family.It is not a must that she has to be adopted with her brother they can go on their own too as they are not bonded. If interested in adopting this stunning baby please go to www.hurricanepetsrescue.org and fill out the screening application to start the process. For questions e-mail info@hurricanepetsrescue.org If you will like to sponsor this kitty until adopter please go to our web and sing up to our Guardian Angel program.Thank you for supporting a No Kill shelter. 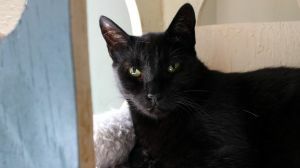 George is a stunning Bombay mix approximately 5 years old. He is neutered, up to date on shots, dewormed, tested for FELV and FIV and is negative, is microchipped and on monthly flea preventive.He loves to play with toys and run, he is like having a toddler...LOL He is very sweet but doesn't like to be picked up, he gets along beautifully with other cats and loves to be petted.Having said that he needs a patient owner that will give him lots of time, maybe somebody that works at home. If interested in adopting this stunning baby please go to www.hurricanepetsrescue.org and fill out the screening application to start the process. For questions e-mail info@hurricanepetsrescue.org If you will like to sponsor this kitty until adopter please go to our web and sing up to our Guardian Angel program.Thank you for supporting a No Kill shelter. 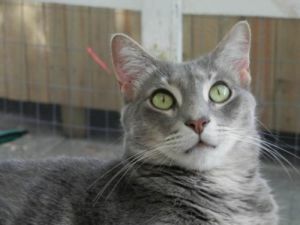 Sweet Pea is a very sweet kittie that will love nothing more than a home to call her own. Can that home be yours? She is spayed. up to date on vaccinations, tested for FELV and FIV and is neg., she is sdewormed and microchipped as well. Sweet Pea just had a full dental and blood work and is in purrrfect health. If interested in adopting this stunning baby please go to www.hurricanepetsrescue.org and fill out the screening application to start the process. For questions e-mail info@hurricanepetsrescue.org If you will like to sponsor this kitty until adopter please go to our web and sing up to our Guardian Angel program.Thank you for supporting a No Kill shelter. Charlie, is approximately 3 years old he is very smart, potty trained, up to date on shots, neutered, microchipped and tested. Charlie must be an only cat. Charlie lived with dogs in the past and gets along with them well. He needs an experience adopter. If interested in adopting this stunning baby please go to www.hurricanepetsrescue.org and fill out the screening application to start the process. For questions e-mail info@hurricanepetsrescue.org If you will like to sponsor this kitty until adopter please go to our web and sing up to our Guardian Angel program.Thank you for supporting a No Kill shelter. 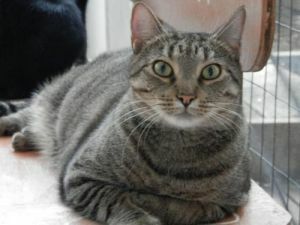 Evia is such a sweet little cat, so deserving of a great home. She is really no trouble at all and will make a wonderful addition to any family. She will be best in a home with no small children and as an only cat. Evita is approx. 4 years old, has been spayed, tested for FELV and FIV, is up to date on vaccinations, dewormed, on monthly flea preventive and microchipped. She loves to play with soft kitty toys and carry's them in her and meaows while she carry's them, she is just too funny. She will do best as an only cat and with no small children. If interested in adopting this stunning baby please go to www.hurricanepetsrescue.org and fill out the screening application to start the process. For questions e-mail info@hurricanepetsrescue.org If you will like to sponsor this kitty until adopter please go to our web and sing up to our Guardian Angel program.Thank you for supporting a No Kill shelter. Splash needs a patient adopter that will let her adjust at her own pace, she is sweet rubs against your legs, purrrs up a storm but doesn't like to be picked up, she needs a human that can work with her. She has been tested for FELV and FIV and is negative, is up to date on shots, dewormed and microchipped. She loves to talk to people, too. If interested in adopting this stunning baby please go to www.hurricanepetsrescue.org and fill out the screening application to start the process. For questions e-mail info@hurricanepetsrescue.org If you will like to sponsor this kitty until adopter please go to our web and sing up to our Guardian Angel program.Thank you for supporting a No Kill shelter. Cashmere and Velcro (also posted) are bonded brother and sister they are just 1,5 years old now but when they came into our rescue when they were just a pair of tiny little babies, so tiny that we had to bottle feed them.They are now awesome teenagers.Velcro is very outgoing and loving.Cashmere on the other hand is a little more reserved, but once she knows you she comes right out of her shell.They are both very loving an playful, they are up to date on shots, have been spay and neutered, dewormed, tested and microchipped.Their adoption fee is $ 65.00 for the pair.Please contact HPR for a screening application@: HPRESQ@aol.com and or HPRADOPTIONS@aol.com if interested in giving these tennagers a good home. Velcro and Cashmere (also posted) are bonded brother and sister they are just 1,5 years old now but when they came into our rescue when they were just a pair of tiny little babies, so tiny that we had to bottle feed them.They are now awesome teenagers.Velcro is very outgoing and loving.Cashmere on the other hand is a little more reserved, but once she knows you she comes right out of her shell.They are both very loving an playful, they are up to date on shots, have been spay and neutered, dewormed, tested and microchipped.Their adoption fee is $ 120.00 for the pair.Please contact HPR for a screening application@: HPRESQ@aol.com and or HPRADOPTIONS@aol.com if interested in giving these tennagers a good home. Blizzard is 4 yo. old, she is up to date on vaccines, tested for FELV and FIV, microchipped and on monthly revolution for fleas. Bliz is not too found of humans we think the reason being is because somebody try to abuse her when her and her brother Twister (also posted) were tiny babies. We know what happened to Twister (is disclosed on his bio) because we have witness, I just think they couldn't get to her but they sure scare her very well. Bliz will come around with love and patient, her and her brother Twisted are very bonded and we will like nothing more than for them to go to a home together where they will be loved, understood and made part of a family, Can you be that family? Even though she is the way she is. She comes to you for food, she smells your hand, but doesn't like to be picked up or cuddle with, and when you approach her fast she gets away. She does get along and loves other cats and dogs, she is just scare of humans and we do not blame her... If interested in adopting this stunning baby please go to www.hurricanepetsrescue.org and fill out the screening application to start the process. For questions e-mail info@hurricanepetsrescue.org If you will like to sponsor this kitty until adopter please go to our web and sing up to our Guardian Angel program.Thank you for supporting a No Kill shelter. Twister is just a year and a half old sweet boy that has been through a lot already in life. Some terrible human put a rope around Twister's neck and hanged him from from a tree so he could die a terrible death. He was found hanged by neighbors and was saved and let go free on the streets/ But that was not enough for his human predators that they hanged him once again this time from the roof of a building. Once again he was freed, he is now out of the streets for good safe and sound where nobody will ever try to harm him again. 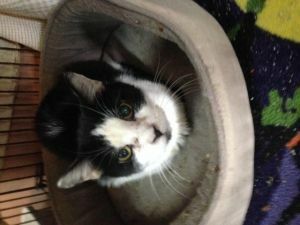 Twister has a slight Twist on his neck hence his name Twister, we do not think nor our vet thinks that permanent damage had ocurred but to be on the safe side Twister will soon be seeing a neurologist to be sure. Despite what ordeal he went through this little one adores people, purrs up a storm and rolls on his back for belly rubs. Twister has a wittle sister Blizzard and even though she is not too fond of humans (wonder way, maybe she didn't take abuse as well as Twister did) but she is young enough that will come around to love people too. Twister and Blizzard are very bonded and we will hate to split them up, I know the chances for them being adopted together are slim but we sure are willing to try. They are up to date on vaccinatiosn, tested for FELV and FIV and are negative, dewormed, microchipped and on monthly revolution for fleas. If interested in adopting this stunning baby please go to www.hurricanepetsrescue.org and fill out the screening application to start the process. For questions e-mail info@hurricanepetsrescue.org If you will like to sponsor this kitty until adopter please go to our web and sing up to our Guardian Angel program.Thank you for supporting a No Kill shelter. Penelope is a gorgeous kitty approx.5 yo. 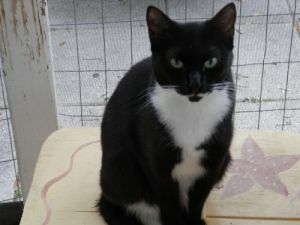 She is very sweet and loving and will love to find a good home to call her own. 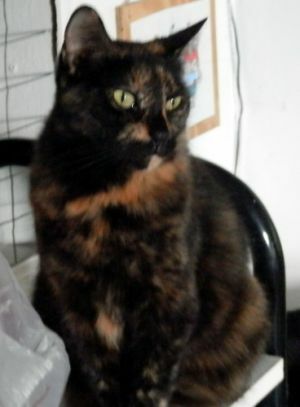 Penelope .She is spayed up to date on vaccinations, tested for felv and fiv and are neg., dewormed and microchipped. If interested in adopting this stunning baby please go to www.hurricanepetsrescue.org and fill out the screening application to start the process. For questions e-mail info@hurricanepetsrescue.org If you will like to sponsor this kitty until adopter please go to our web and sing up to our Guardian Angel program.Thank you for supporting a No Kill shelter. 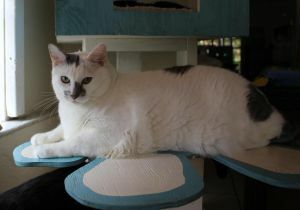 Buddy Love is a super sweet kitty, he is approx.5 years old, ready to go to his forever home. He is up to date on vaccines, dewormed, microchipped, tested for FELV and FIV and will be spay prior to adoption. 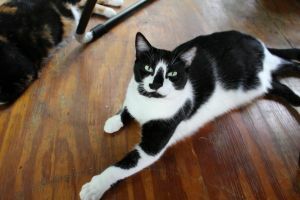 He is very bonded with his brother Cupid so it will be nice if they together can go to a forever home. Valentine is also one of their brother but they are not so bonded with him. If interested in adopting this stunning baby please go to www.hurricanepetsrescue.org and fill out the screening application to start the process. For questions e-mail info@hurricanepetsrescue.org If you will like to sponsor this kitty until adopter please go to our web and sing up to our Guardian Angel program.Thank you for supporting a No Kill shelter. 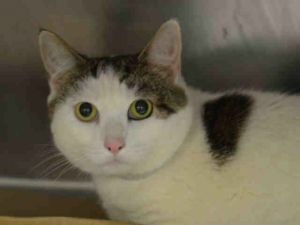 Valentine is a super shy and will require a seasoned pet parent, 5 yo. his brothers are also with us and it will be great he could be adopted with one of his brothers as they are bonded.His brother are Buddy Love and Cupid. He is up to date on vaccines, dewormed, microchipped, tested for FELV and FIV and neutered. If interested in adopting this stunning baby please go to www.hurricanepetsrescue.org and fill out the screening application to start the process. For questions e-mail info@hurricanepetsrescue.org If you will like to sponsor this kitty until adopter please go to our web and sing up to our Guardian Angel program.Thank you for supporting a No Kill shelter. Cupid is approx. 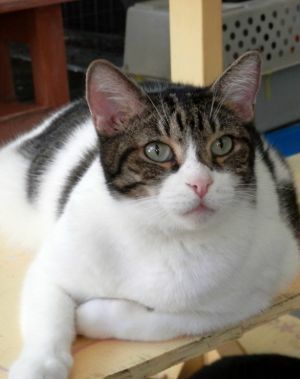 5 yo, he is on the shy side so he will require a seasoned cat owner. He is also very bonded to his brother Buddy Love (also posted)so for that reason it will be nice if they can go to a home together. He is up to date on vaccines, dewormed, microchipped, tested for FELV and FIV and neutered. If interested in adopting this stunning baby please go to www.hurricanepetsrescue.org and fill out the screening application to start the process. For questions e-mail info@hurricanepetsrescue.org If you will like to sponsor this kitty until adopter please go to our web and sing up to our Guardian Angel program.Thank you for supporting a No Kill shelter. 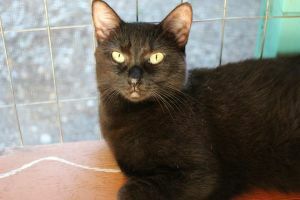 Valentina is a super sweet kitty a littke shy but with a patient owner she will do just fiine, she is approx. 5 yo. and ready to join a good family. She is up to date on vaccines, dewormed, microchipped, tested for FELV and FIV and is neg and spayed. Valentina is very bonded to her Mom Princess, for that reason they must be adopted together. If interested in adopting this stunning baby please go to www.hurricanepetsrescue.org and fill out the screening application to start the process. For questions e-mail info@hurricanepetsrescue.org If you will like to sponsor this kitty until adopter please go to our web and sing up to our Guardian Angel program.Thank you for supporting a No Kill shelter. Georgina born in 06/21/08, is up to date on vaccines, tested for FELV and FIV and or negative, dewormed, spay and microchipped. 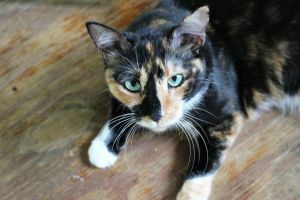 Georgina is very outgoing she loves people, she loves everything, very laid back and easy going kitty she will make a wonderful addition to any family, she gets along great with other cats as well a dogs. 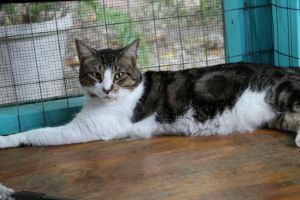 If interested in adopting Georgina please go to www.hurricanepetsrescue.org and fill out the screening app to start the adoption process. For more information please contact us @: info@hurricanepetsrescue.org if you will like to sponsor Georgina on a monthly basis until adopted please go to our web and sign up for our Guardian Angel programs. 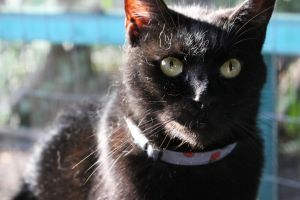 Brian is a real sweetheart who will like nothing more than to find a home to call his own, Unfortunately since Brian is black and black cats are the most difficult to adopt he has been in out rescue for almost 2 years and no one person had inquired about him. People do not want black cats because the myth of the bad luck, well it is people that make their luck NOT animals. Actually in Europe bleck cats are consider to bring GOOD luck to people. 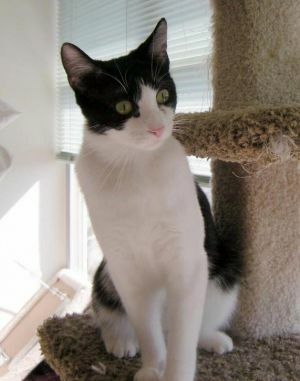 Brian is a love bug and deserves a home just like any other kitty. Can that home be yours? Can you open your heart and home to him. Well that is just plain ignorance as black cats are the best cats and there is nothing true about them bringing bad luck. It is people that make their luck , good or bad NO animals. Brian is neutered, up to date on vaccines, tested, dewormed and microchipped.He is also on monthly advatage for fleas. If interested in adopting this stunning baby please go to www.hurricanepetsrescue.org and fill out the screening application to start the process. For questions e-mail info@hurricanepetsrescue.org If you will like to sponsor this kitty until adopter please go to our web and sing up to our Guardian Angel program.Thank you for supporting a No Kill shelter. Olivia is approx., 2 years old. Poor Olivia she is so sweet but so shy, she is literally scare of her shadow, Oli will love nothing more than to get out of our shelter and live with less cats that the number of cats that she is currently living with. She is scare of all the other cats therfor she spends her day inside the cat tree. Oli will benefit from living with an older person with no other pets or perhaps a with a couple of very mellow and lad back cats. She really needs a quiet home and a very patient human that will work with her so her personality can shine and come to light. She is super sweet and harmless, she will NEVER hurt a fly.Oli is up to date on shots, sayed, micochipped and tested for FELV and FIV. This girl is so scare that sometimes has potty accidents, in a quiet home this will be easily remedy. adoption fee is $65.00 If interested in giving this girl a good life and good home please contact HPR @: HPRESQ@aol.com for a screening application Serious inquiries only! 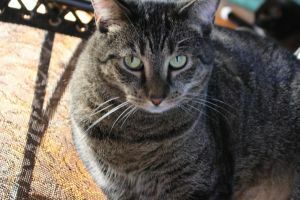 Becky is approx 5 years old, she is one of our feral kitties, she has a lot of potential and with a ton of love and patience she will be a great kitty as she has the potential to become an awesome cat. Becky will be a great kitty for somebody that works a lot since she doesn't mind alone, she actually prefers the company of other kitties more than people. Semi feral kitties deserve love too. So if you can find it in your heart to give this gal a forever home it will be super. She does need an experienced owner that like a project. She is UTD on shots, spay/neutered, micochipped, tested for FELV and FIV, dewormed and on monthly advantage for fleas. If interested in adopting this stunning baby please go to www.hurricanepetsrescue.org and fill out the screening application to start the process. For questions e-mail info@hurricanepetsrescue.org If you will like to sponsor this kitty until adopter please go to our web and sing up to our Guardian Angel program.Thank you for supporting a No Kill shelter. 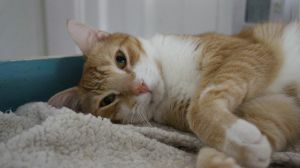 Red, is and amazing cat, very cool, easy going and laid back boy, not to mention drop dead gorgeous! He actually is a cat with a dog purrsonality.He gets along with everyone- dogs, cats and humans! He is a big boy and pure muscle with a lot of love to give. He is up to date on vaccines, has been tested for FELV and FIV, is microchipped, dewormed and is on monthly advantage for fleas. 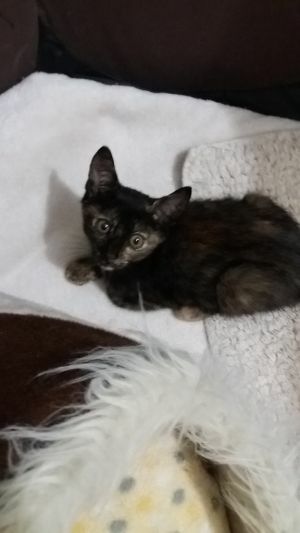 If interested in adopting this stunning baby please go to www.hurricanepetsrescue.org and fill out the screening application to start the process. 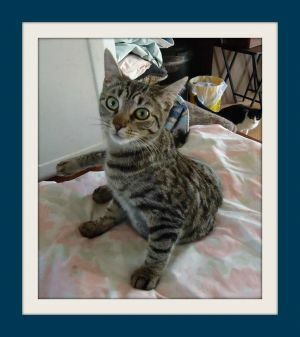 For questions e-mail info@hurricanepetsrescue.org If you will like to sponsor this kitty until adopter please go to our web and sing up to our Guardian Angel program.Thank you for supporting a No Kill shelter.